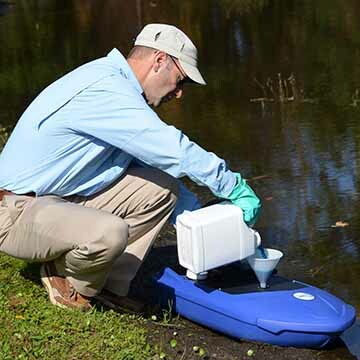 Easily treat your pond or dock area for weeds and algae with the TORMADA® product application boat! Choose from 2 models. 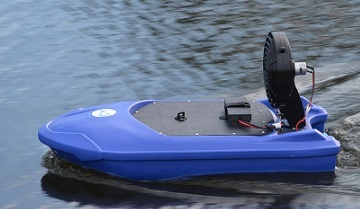 Introducing the TORMADA® product application boat! The new fun tool for treating your pond or dock area! Choose from 2 models. 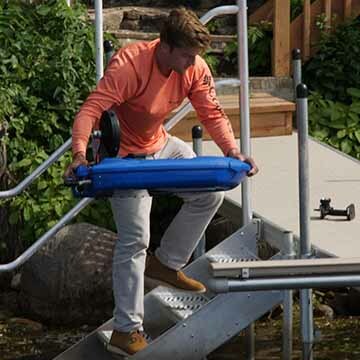 The TORMADA® is an unmanned, lightweight product application boat that enables ponds and dock areas to be treated for weeds and algae without launching a manned boat by treating the water right from the shoreline. Can you use any kind of herbicide or algaecide in this boat, or are there restrictions on what you can use? ...fantastic idea/product...1st practice run learned not to enjoy my favorite cold drink while "driving" !..2nd practice run ... pure perfection...very easy to control (..I have auto valve ... excellent control )...and most importantly, the tech help available at Lake Restoration is unsurpassed...period !